We collaborate with key partners such as Argonne National Laboratory, one of the nation’s largest science research centers. Award-winning faculty cross disciplines to create new knowledge and pass their expertise onto our students. McCormick’s strategic priorities drive our research areas to address some of the most challenging global problems today. Northwestern is a diverse and dynamic research institution with a host of interdisciplinary research centers and programs whose results benefit millions of people around the world. Our world is changing at an accelerated pace, and the boundaries between disciplines are blurring. Under these dynamic conditions, we face global challenges at a scale never before seen. At Northwestern, we are making strategic investments in research areas that will drive our progress in the coming years. As these areas intersect, they provide focal points that connect our faculty and students throughout the school. In addition to collaborating with the different schools and departments across campus and serving as a hub for Northwestern’s interdisciplinary research efforts, engineering researchers have ongoing collaborations with dozens of universities, organizations, and research centers worldwide. These collaborations are changing the world and expanding the boundaries of our established knowledge. Northwestern's engineering research enterprise funds more than 1,000 researchers in more than 250 labs. While the majority of Northwestern’s research funding comes from government sources, corporate sponsored research represents a growing opportunity for engineering professors. Companies now fund more than 10 percent of research at the school. Engineering professors work with Northwestern’s Innovation and New Ventures Office (INVO) to turn their research and innovations into patents and businesses. A hub for innovation, Northwestern Engineering is consistently responsible for half of all the University’s invention disclosures and faculty startups. Through the Northwestern-Argonne Institute for Science and Engineering (NAISE), engineering faculty regularly partner with researchers at Argonne National Laboratory, one of the nation’s oldest and largest science research centers and home to some of the most high-tech facilities in the world. Northwestern engineers work closely with professors and physicians at the Feinberg School of Medicine, Northwestern Memorial Hospital, and Northwestern University Clinical and Translational Sciences Institute (NUCATS) to advance medical progress and inspire new partnerships. 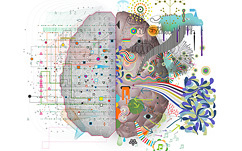 The Center for Engineering and Health (CEH), a joint venture of the Feinberg School of Medicine and Northwestern Engineering, looks to develop solutions for better patient outcomes and more efficient, cost-effective healthcare through the use of advanced analytics, mathematical modeling, and operations research. Northwestern engineers collaborate frequently with the Shirley Ryan AbilityLab, the nation’s top-ranked rehabilitation center, to design better rehabilitation robotics and artificial limbs. Global Initiatives help all Northwestern Engineering scholars – including faculty, postdocs, graduate students, and undergraduates – to engage in the global marketplace of talents and ideas and to develop research collaborations worldwide. Our award-winning faculty, including several national academy members, across disciplines to create new knowledge while maintaining a solid grounding in the fundamentals. They transfer their expertise and passion for their fields to every student and collaborator as they continue to advance scientific and engineering knowledge. Browse faculty member profiles and contact info in our directory. 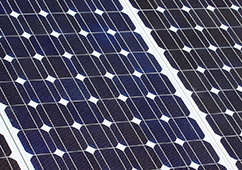 The Argonne-Northwestern Solar Energy Research Center aims to revolutionize the materials and methods needed to create more efficient solar cells. 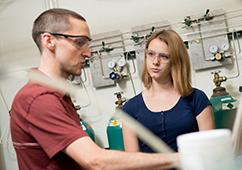 Undergraduates conduct research in Northwestern Engineering laboratories and even publish in peer-reviewed journals. 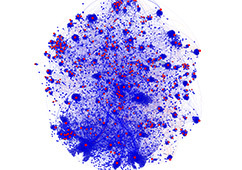 At the Northwestern Institute on Complex Systems, researchers uncover the principles that govern complex systems like neurons, social networks, and ecosystems.